Lombok is located on West Nusa Tenggara Indonesia. It stays on East of Bali which is 5 hours by ferry and 35 minutes by flight from Denpasar. The island is surrounded by some small islands called Gili Islands. Those islands become the main tourist destination, especially Gili Trawangan, Gili Meno and Gili Air on North Lombok Regency. Accommodation and Restaurants in Lombok have spread around, especially in the main tourist destination such as Senggigi, Kuta, and Mataram. Accommodations are from backpackers to the 5 stars hotel. Restaurants and nightlife also available on the island. Most are centered in Senggigi, the West part of Lombok. To book accommodation on Lombok island, you visit some recommendation online boking like Agoda.com or Booking.com. The main tribe on Lombok island is Suku Sasak or Sasak Tribe. Part of the culter is influenced by Balinese culture. This is due to the previous story of West Lombok which was under control of Balinese Kingdom Anak Agung Gde. In fact, Lombok has it is own culture and tradition. One of the most popular shows on the island is Tarian Peresehan or Stick Fighting between two men. Another interesting to see on Lombok culture is Gendang Beleg or Drum with the Sasaknese dance. Lombok has a wide range of tourist destination. 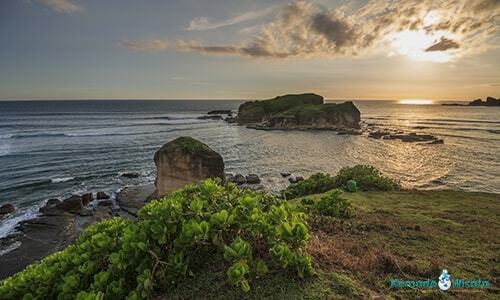 There are some of the beautiful places to visit such as Kuta Beach, Merese Hill. And you can also do mount Rinjani volcano trekking on the island. As one of the trusted online agency, we are providing some great tours, trekking packages, and diving. To see details you can reserve online through the search box. We also provide the tour to Komodo island from Lombok which is scheduled 3 times in a week. This liveaboard program is 4 days and 3 night start from Bangsal or East Lombok.